This wine exhibits intense aromas of white peach and tropical fruit. Bold fruit is complemented by an array of different spices and hints of coconut and vanilla. Delicately balanced, this wine is buttery yet spicy on the finish. Enjoy with cheeses, poultry, or seafood. Tasty and light with lots of pineapple, apricot and vanilla. Appearance: Bright, clear, straw in colour. Nose: Medium+ intensity, notes of apricot, peach, guava and other tropical fruits. Palate: Medium body, medium+ acid. Lots of tropical and stone fruit flavours, including apricot, papaya, banana and guava. 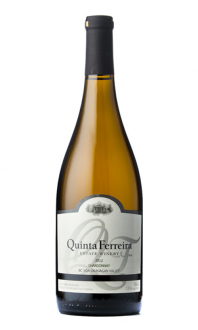 Quality: A good quality Viognier; rich fruit notes with a honeyed, pleasantly viscous texture. Food Pairing: Indian-style Chicken Korma, Chicken Tagine with apricots and saffron rice, sautéed fresh scallops in butter, roasted root vegetables, and soft and creamy cheeses.